SNAPPED A CELEBRITY? HAVE YOU CAUGHT A CELEBRITY ON CAMERA & WOULD LIKE TO SELL YOUR FOOTAGE? If the answer is yes, Talk to the Press can help you sell your footage to the international press and see your footage appear in some of the world’s leading publications. We ensure that you receive the highest fee for your footage and that you are paid each time it is used. We make sure the process is hassle-free with our reporters negotiating newspaper, website and magazine deals on your behalf. To share your video, simply fill out the form on this page. You only need to provide the main information. Just a few lines at this stage. One of our brilliant writers will give you a call if it is suitable for our publications. They will ask to see the footage so they can assess it. If you’re happy to go ahead, we’ll work with you to share your story and get the largest fee possible. Cheyenne Whitehead contacted Talk to the Press after she snapped a celebrity on her phone. 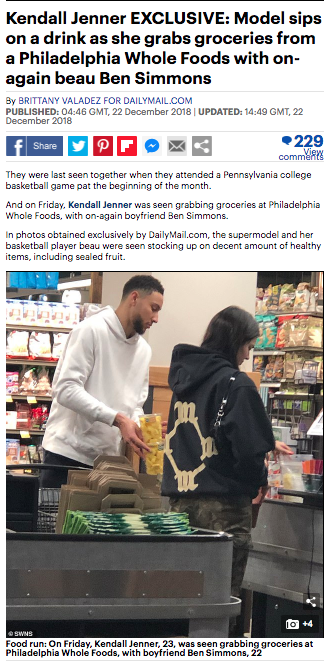 Cheyenne filmed a short video clip of supermodel Kendall Jenner and NBA star Ben Simmons at Whole Foods. 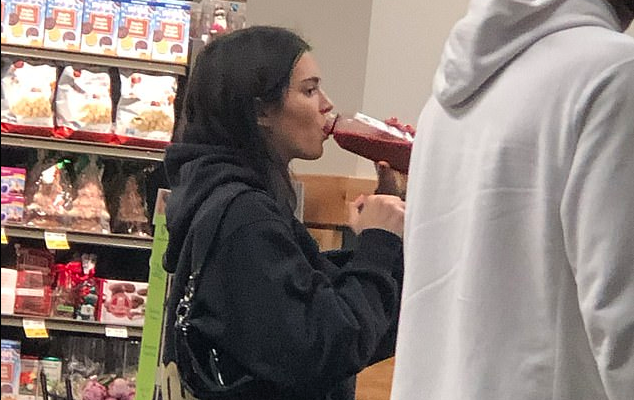 The catwalk queen could be seen swigging a smoothie at the checkout. Cheyenne wrote in the online form that she was interested in selling her video. A few minutes after receiving the online form, a TTTP reporter called Cheyenne. She asked for some information about the video and told Cheyenne she would like to see the footage so she could access whether she could place it in the international press. Cheyenne quickly emailed her the video and photographs. Once the video had been verified the story was written up. The pictures and video were sold to The Mail Online and secured our source a substantial amount for his footage. The story was then distributed to hundreds of other news outlets. If you are ready to share your story, simply fill out our online story valuation form. Alternatively, you can call our team to find out how much your story is worth. One of our trained journalists will then speak with you over the phone and talk you through the process. There’s no obligation, nothing will be printed without your permission. Everything is handled sensitively and with care. We are here to help you sell your story to the global press. Once you are comfortable, we will put together an article detailing what you went through. We will help share your story for the highest fee. If you’ve snapped a celebrity, get in touch. Talk to the Press is a free service. We help you navigate the media and will help you every step of the way. Stay in your control of your story and earn the maximum fee possible. Whether you’ve caught a celebrity on camera, filmed something amazing, or have a personal story to sell – we want to hear about it. To learn more about how to sell a story, photo or video to the press, read our Sell My Story page.